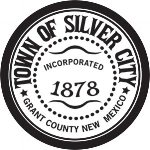 Visit us at Silver City Dia de los Muertos, Sunday October 29 in beautiful downtown Silver City. We will be on Market Street and Bullard Street from 1230 to 5pm. Lots of great activities, performances and parade at 3:30pm. We are making art buttons! Come color a Marigold or a Calavera (sugar skull) ALL AGES ! FREE! ARTE PARA TODOS!